Wheat Technology Handbook from C.H.I.P.S. Tables of specific mill engineering data provide application for mill design, while chemistry and analytical information and improved laboratory techniques allow for greater accuracy in mill operation. Explanations on the theory of the process provide knowledge useful to all involved in milling or the end product. The Second Edition is thoroughly updated and expanded to reflect the changes that have occurred since the first edition was published and to provide more detailed information.
. 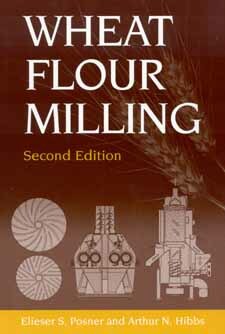 Practical conversion factors, the detailed index, and quick web references to all subjects related to wheat flour milling make finding the information you need quick and easy.